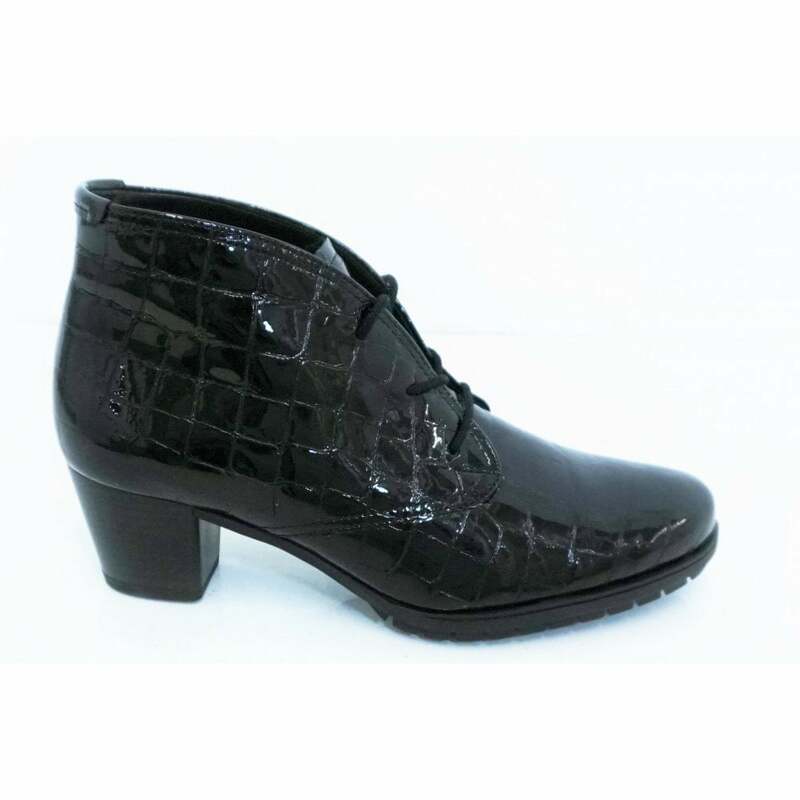 We love these ankle boots from Gabor, the perfect boot for taking you from workwear to the evening these leather ankle boots are packed with style. The patent croc effect adds style to any outfit, whilst a lace up front and inner zip mean they are easy to take on and off. Micro fibre lining and in sole mean that your get comfort with every step.